This badge was issued to 수연 조 on 28 Feb 2019. 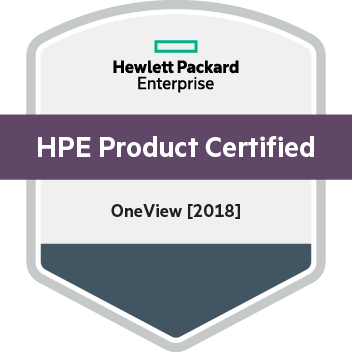 This badge validates the achievement of the HPE Product Certified - OneView  certification. The certification verifies an earner can describe, recommend, demonstrate and configure HPE OneView converged infrastructure management solutions. Earners are able to explain HPE OneView 4.x architectural model and its features and functions, benefits and strengths of integrated, converged management, and benefits and strengths of OneView security, automation, and proactive monitoring capabilities. Complete Using HPE OneView, Rev. 18.11 course. Training is highly recommended but not required.